With bold colors, Liz Granger draws us into a world that refracts our fears and hopes, sending them back to us as magnificent creatures, not quite human but burning with a desire to be so. She understands that life is larger than we can imagine and often a freakshow. 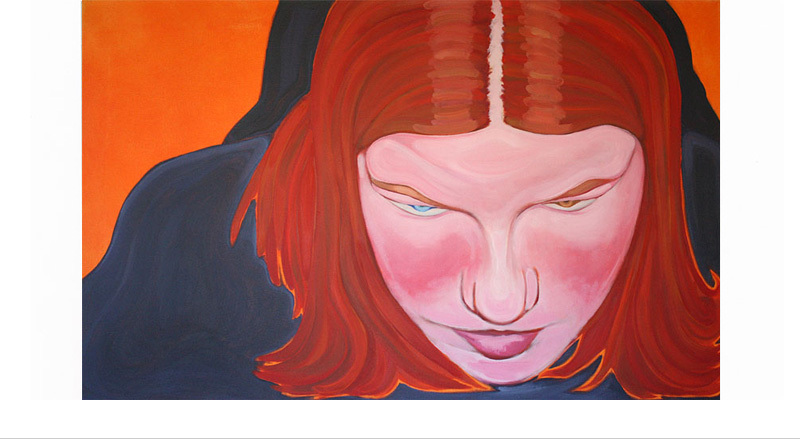 Her art seems to exaggerate emotion, or perhaps we underplay that part of ourselves in "real" life. Are demons right around the corner, or merely in our head? Is there even a difference? Liz Granger grew up in New Zealand, Peru, Costa Rica, Egypt, and the United States. She attended Sarah Lawrence College and currently resides in Connecticut.